Dementia is widely recognized as one of the major causes of disability and dependency among seniors in our country. Dementia is a medical condition that results in a decline in memory, thinking, and behavior. It is very common for individuals with dementia to become unable to perform regular daily activities independently. A major problem with dementia is that it increases the risk of seniors wandering off, which puts them in danger. For families with loved ones in nursing homes, our elder law attorneys can provide some useful strategies for protecting them from the danger of wandering away from the facility. 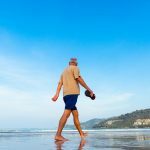 Why does dementia increase the risk of wandering in seniors? It is a fact that seniors are more likely to suffer from dementia than any other age group. In fact, dementia is the number one reason that seniors find themselves in nursing homes. But why are people with dementia at a greater risk of wandering? The scientific community believes that dementia causes “elopement” or wandering because of their cognitive impairments. If they are unsupervised, then they are more likely to stray and not be able to find their way back. One of the many reasons that a person with dementia’s wandering away from a nursing home is so dangerous is that, when unsupervised, seniors can suffer serious injuries, including from falls. In some cases, the injuries have been fatal. There is also the risk of being robbed, attacked, or struck by a car while attempting to cross the street. Elders with dementia who get lost and disoriented may not make it back to the facility to receive medications they need. All of these dangers pose a serious threat. Because legislators understand these significant risks, the 1987 Nursing Home Reform Act provided special protections for nursing home residents. Under the Act, nursing home facilities are required to maintain adequate supervision protocols that will prevent elderly patients from wandering off of the premises. That requirement means facilities must maintain suitable staffing and provide appropriate training. How do I know if the nursing home will provide adequate protection? How many staff members are on shift at night? What is the required ratio of staff to residents? Will a staff member be assigned specifically to your loved one? 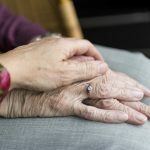 Are any staff members trained to care for seniors with dementia? What procedures are in place to protect residents from wandering? One of the major challenges in dealing with dementia, including Alzheimer’s, is the likelihood of losing the ability to think clearly. This symptom, in particular, makes it challenging and often impossible for your loved one to make legal, financial and medical decisions. 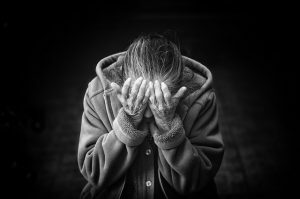 The best advice our elder law attorneys can give is to start incapacity planning as soon as you can, but certainly when the first signs of a problem appear. It is much simpler to create a plan while your loved one is still capable of participating. In many cases, individuals in the early stages of dementia can understand and make their own decisions. Why should you have an incapacity plan? Regardless of whether your loved one has dementia, it is not uncommon for seniors to reach a point where they require help with managing their medical and financial matters. Certain steps can make it simpler for a loved-one to help with those concerns. The good news is you can make decisions now that can help you plan for the future. That way you can have a plan in place that will ensure someone can help your loved one to make important decisions when they are no longer able to do so. Join us for a free seminar today! If you have questions regarding nursing homes or any other elder law matters, please contact the experienced attorneys at The Potter Law Firm for a consultation. You can contact us either online or by calling us at (704) 944-3245 (Charlotte, NC, or Huntersville, NC) or for individuals in Kentucky at (606) 324-5516 (Ashland, KY) or at (859) 372-6655 (Florence, KY).